Every participant of a tour operated by Biking Viking is required to accept and sign a release and waiver form of rights before tour start. Biking Viking cannot accept any tour participant without a duly signed release and waiver form. A copy of the release and waiver form can be provided by our agents. Biking Viking agents and representatives represent Biking Viking but are not a party to this contract. Nor are they responsible or liable for failure to provide any service as may be described in our literature pertaining to the contract. For the tour a booking deposit of $500 is required at the time of booking. This deposit secures a place on the tour. The balance is due 60 days before the tour starts. If the total balance is not received 60 days before tour start, Biking Viking reserves the right to treat this reservation as cancelled and charge the cancellation fee. Rental motorcycles are provided as part of the tour package. The types of the motorcycles generally used on the tours are BMW F650 GS. The pictures of the motorcycles do not always represent the exact version of the motorcycles provided. All of them have luggage cases. Please ask our agent if you need more detailed information. Biking Viking reserves the right to substitute the motorcycle confirmed to tour participants. Biking Viking strives to ensure that all participants ride the motorcycle they are confirmed on and is very proud of their record of doing so. Unfortunately, at times, certain unexpected and uncontrollable situations arise which may require the substitution of a motorcycle. This includes, but is not limited to, mechanical failure, collision damage and theft. Should Biking Viking not be able to replace a confirmed motorcycle with the confirmed type or similar, a pro rated refund for the difference in models will be refunded to participant. This constitutes the maximum liability of Biking Viking. A safety deposit has to be paid at the Biking Viking rental center at the time of hand-over of the motorcycle at the beginning of the rental period. The amount of this safety deposit is equal to the amount of the deductible of the vehicle insurance. Biking Viking reserves the right to adjust the amount of this safety deposit and deductible without notice. This safety deposit will be refunded upon return of the undamaged motorcycle to Biking Viking. During the tour Biking Viking is not obliged to replace a damaged motorcycle. When a customer brings his/her own motorcycle to use on the tour, no motorcycle-insurance is provided by Biking Viking. The tour price includes hotel accommodations in double, twin or single rooms, fuel, insurance and most meals. A limited number of single rooms are available at extra cost on a first come, first served basis but availability cannot be guaranteed. Biking Viking will attempt to find a roommate for riders not specifying single room on their booking form, but cannot guarantee it; surcharge for single room may be applied. Biking Viking assumes no responsibility for loss, damage or delay in delivering baggage to tour participants. Baggage turned over to Biking Viking for transport each day is done so at participant’s own risk. Baggage insurance is recommended. A maximum of two pieces of luggage per person is accepted. Cancellations received more than 60 days prior to departure will be subject to a $200 per person cancellation fee. Cancellations received less than 60 days prior to departure will be subject to the following forfeit of tour cost; 59-42 days, $500 per person; 41-21 days, 30 percent of the tour cost; within 20 days, 100 percent of the tour cost. No exception to this policy can be made for any reason. Trip cancellation insurance is strongly recommended. One rebooking latest 60 days before tour start is possible. After rebooking the minimum cancellation fee is $500 per person. Up to 30 days prior to tour start Biking Viking can cancel a tour if an insufficient number of tour participants have booked and fully paid by that time. In this case, the customers will be notified forthwith. Biking Viking will offer to operate the tour if all customers agree to a supplemental charge due to the low number of tour members. If customers do not accept to pay the supplement, Biking Viking will refund their payment in full, which will constitute the full settlement. Biking Viking is not liable for any additional costs or losses incurred by the tour participant due to Biking Viking’s cancellation of tour due to lack of participants. This includes, but is not limited to, the cost of pre-paid airline tickets, hotel reservations and automobile rentals. Situations may arise which, in our opinion, make it necessary for us to cancel, advance or postpone a scheduled tour, change itineraries or make substitutions regarding hotels, cities, tour guides and other travel arrangements. In that event, we do not assume responsibility or liability for any resulting losses, expenses or inconvenience. Biking Viking is not required to make refunds once tour commences regardless of the reason for participants being unable to complete his or her tour. If the customer does not comply with traffic laws or the requirements for group travel, Biking Viking has the right to cancel the contract and secure the rental-motorcycle. Photos and videos produced by Biking Viking or its representatives on tour are the property of Biking Viking. The copyrights rest with Biking Viking. Biking Viking can use all of this material for advertising and marketing purposes, including images in which individual tour members can be recognized, without any charge from the tour member arising for Biking Viking for this use of material. Biking Viking is responsible for providing the services listed in the tour description according to the local standard and the accurate description of services offered in its literature. Biking Viking carefully selects and constantly checks its contractors, such as hotels and restaurants. Biking Viking is responsible for conscientious travel preparations. Biking Viking is not responsible or liable for any accidents. Biking Viking reserves the right without prior notice to withdraw any part or all of a tour, to make such changes as may be necessary, and the extra cost, if applicable, resulting there from, shall be paid by the customer. 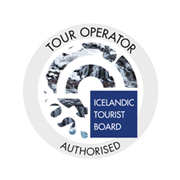 Furthermore, it is agreed and understood that the owners, operators and agents of this tour including Biking Viking are not the guardians of any customer’s safety and they, individually or collectively, cannot be held liable in any way for any occurrence in connection with the operation or the client’s participation in connection with the tour, which might result in injury, death or other damage to the client, his property, or his family, heirs, or assigns. Biking Viking is not responsible or liable for a delay occurring from the manufacturer’s failure to deliver the motorcycle on time. The liability of Biking Viking as the tour operator is limited to a total of three times the tour price irrespective of the title/claim. Biking Viking is not responsible for any delays, changes in schedule or other conditions. Some tours operate on seasonal basis and where seasonal variances and/or weather conditions cause changes in the tour routing or accommodations, the itinerary will be adjusted accordingly and alternate hotels, restaurants and roads will be used. Biking Viking strives to schedule its tours at a time of the year when the weather in the touring area is usually pleasant for motorcycling. Many tours pass through areas where weather conditions can change very fast and significantly. Biking Viking cannot be made liable for unpleasant or unsuitable weather conditions and no refunds are made for such conditions. Fares quoted are those in effect at time of printing. If cost factors, including but not limited to hotels, meals, motorcycles, insurance, international currency fluctuations etc., dictate the need for fare increases, Biking Viking may do so at any time prior to 60 days before departure. Biking Viking recommends that you take out adequate travel, health and accident insurance as well as trip cancellation insurance with our agents. Verbal changes of contract are invalid unless confirmed in writing by Biking Viking. Biking Viking reserves the right to correct printing errors or calculation mistakes at any time.